Snippets of Jack: "More Acquaintance Than Friend"
Happy last day of the year! This past year has been great for our blog! We've received more views and comments as the year continues. This next year, we'll try to post for consistently and hopefully you will try to spread the word of our website! Now, we would like to make his post all about the antagonists of the series. Hopefully their New Years Resolutions will help Jack have an easier time dealing with them because they are sorry. However not all of the villains are equally liked by me. These are my top five favorite. 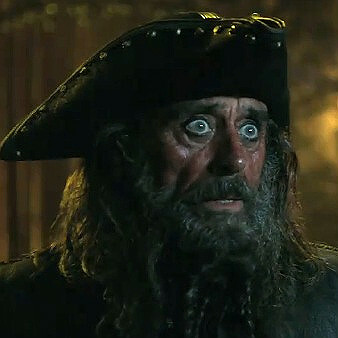 Also known as Edward Teach, Blackbeard is pretty evil but he's not a very interesting villain. He's captain of the Queen Anne's Revenge but truly doesn't do very much. In fact, his crew doesn't even think he exists for a while. Angelica, his daughter and first mate, runs most of the business on the ship. And then we find out that he actually is a character with a pretty epic sword. So he kills some people and insists Jack takes him to the Fountain of Youth. Things really get interesting when we learn Blackbeard has shrunk and bottled the Black Pearl. It's no surprise that Jack is ready to do anything to gain back his ship, and that annoying monkey. So now it's up to Jack to defeat Blackbeard and get back the Pearl. I told you Mercer's killer was on this list too! And here he is. Like Mercer, Davy Jones for a while had to do what Cutler Beckett told him to, including tracking down the pirates at Shipwreck Cove and attacking them. 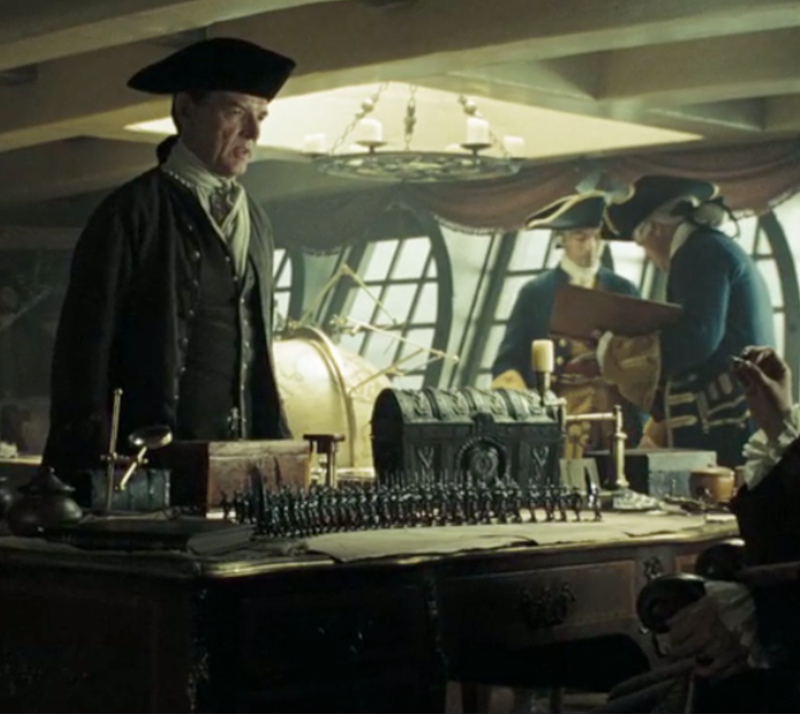 It's during this attack that Davy Jones decides that he's tired of Cutler Beckett telling him what to do. So he disgustingly killed Mercer and tries to track down his heart. Beckett does eventually fail, but so does Jones when Will Turner stabs his heart sending him to his watery grave. Barbossa switches off throughout the series between being a helping and harming the protagonist (Jack). However, during the first movie he is definitely a villain. First of all, he pretty much took over Jack's beloved ship, which is never appreciated. He also wants to kill Jack, Elizabeth, Will, and Norrington, and pretty much everybody else. He's not even very nice to his own crew members. To see if the curse in them is lifted, Barbossa shoots Pintel to see if he dies. But I love how Barbossa seems just to ramble on and on in his super piratey talk. He's one of the funniest characters and the only reason he's not on the first on this list is because he's not a villain all the time. Speaking of which, let's continue on to first place. 1) Cutler BeckettI hope by this point you've taken my advice and read The Price of Freedom, because Beckett's childhood history is shared in the book. He's also a total jerk in the book. 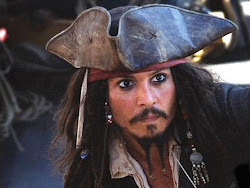 He brands Jack with the 'P' on his wrist and then tries to take down the Wicked Wench, even though it's his own ship! Then, during Dead Man's Chest, he poses a menacing threat on Jack, Will, and Elizabeth. This threat continues into the second movie as he desperately tries to completely strike pirates off the face of the earth. You can tell that he's not a big fan of pirates, making him the ultimate villain during the series.